China’s Belt and Road Initiative (BRI) – also called the Silk Road Economic Belt and the 21st Century Maritime Silk Road – marked its fifth anniversary last year. 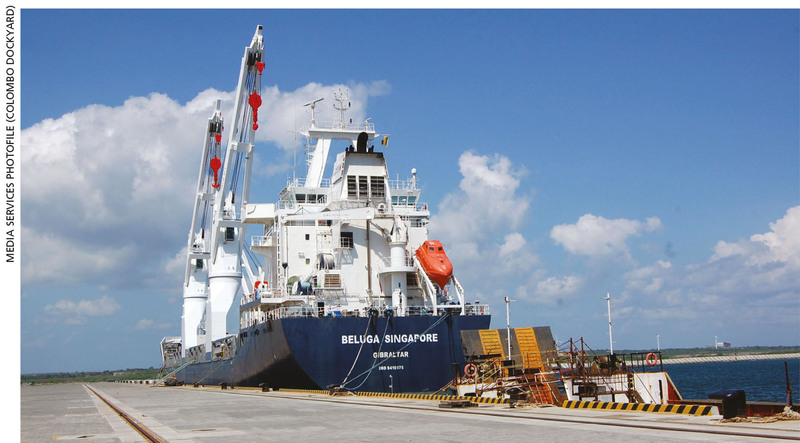 The BRI reflects growing competition in the Indian Ocean over access to natural resources. India, China, Japan and the US are determined to exercise their influence in the region, and Sri Lanka is one of the pieces on this geopolitical chessboard. China has much at stake in Sri Lanka due to the importance of Hambantota in the emerging superpower’s global plans. Our island’s strategic importance in the Indian Ocean region has been known from ancient times to the modern era. The country lies at a key centre of the ancient maritime silk route. During World War II, Sri Lanka became the most important Allied military base in Asia with the British Eastern Fleet being based in Trincomalee. China, which obtained the rights to the Hambantota Port on a 99 year lease, also supports the development of harbours in Pakistan, Bangladesh and Myanmar under Beijing’s ‘String of Pearls’ strategy. Hambantota is the closest port to the sea lanes between the Straits of Malacca and Hormuz, which serves China’s interests. Not to be outdone, India and Japan announced the launch of their joint initiative titled ‘Asia-Africa Growth Corridor (AAGC)’ early last year. It is intended to be a sea route from Japan to Africa, linking ports in India to other Southeast Asian countries. China was Sri Lanka’s most generous all-weather friend even before diplomatic relations were established post-1956. From the Rubber-Rice Pact of 1952 to the 26 year military campaign against the LTTE, Beijing has been a great benefactor both in supplying arms and defending Sri Lanka at the UN, as well as building infrastructure in the aftermath of the conflict. During his presentation at the Viyathmaga Annual Convention 2018, political commentator Neville Ladduwahetty said that Beijing’s objective was to develop ports to access China’s marginalised western regions where significant disparities exist between the rural west, and the developed and urbanised east. According to him, the other reason is that the Strait of Malacca is a critical chokepoint that could cripple China’s economy. Therefore, China is compelled to find alternative routes to deliver material to its western regions by building ports at Gwadar in Pakistan, Chittagong in Bangladesh and Sittwe in Myanmar. Along with road and rail links, these ports connect the Indian Ocean to the west and south of China. Needless to say, all this is making the US and India uneasy. For the Americans, it means a major challenge to their power in a region where they’ve played a dominant role for a long time. For New Delhi, the problem is China’s presence in a region that is traditionally considered India’s backyard. The latter’s deep concern is the naval infrastructure that China is installing in pursuit of its national interests. The Indians fear that this infrastructure has the potential to serve its military interests as well if the need arises. He goes on to ask if Sri Lanka should continue its 20th century policy of nonalignment – and if such a policy could help the country survive in today’s complex geopolitical challenges. Whether in the Indian Ocean or elsewhere, the games that the great powers play leave in their wake unwelcome consequences for small or less powerful countries. In the light of these developments, we need to handle our foreign relations with more care and sharpened foresight. With trade and spices in the maritime silk route, how the ‘pearl’ has been perceived in the past and how it is now treated with temptation, remains a concern. Truly, Sri Lanka is a piece in the chessboard that has been manoeuvred by the powerful nation and its geopolitics to get the chairmanship. Ultimately, strings will be pulled for Sri Lanka to be in the agenda of the powerful and we may be compelled to see a nightmare. The economic and political vulnerability along with the lack of unity in Sri Lanka over the past three decades have also increased the risk of coercion – to seek refuge in the agenda of the powerful. In light of all this, Sri Lanka still basks in the glory and the country envisages greener pastures in prosperity through economic development. While the latter may be acceptable to some extent, may we ask whose bargaining power is high? Probably China’s, and considering our relationship with China we can assume that the economic shocks can be withstood. Given the weaknesses in Sri Lanka’s political and economic administration, handling foreign relationships with these giants is to be a diplomatic affair. After much thought, we can fathom the saying that all who help you are not your friends.